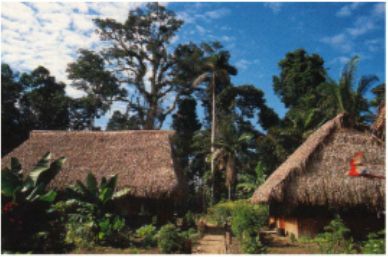 This lodge is located east of the Manu River on the north bank of the Madre de Dios River. It is reached by a 45-minute flight from Cusco aboard a modern, radar-equipped, turboprop aircraft, followed by a 90-minute motorized canoe ride, and offers the Amazon’s finest short, in-depth wildlife safari. The lodge is famous for its abundant and varied wildlife, with its own Tapir clay lick, a nearby macaw and parrot clay lick, two nearby oxbow lakes and two tall canopy viewing towers among its impressive highlights. Day 1: Flight from Cusco to Puerto Maldonado-Colorado -Manu Wildlife Center. A transfer service from your hotel to Cusco airport will be followed by a 45-minute commercial flight to Puerto Maldonado, then you will be transfer by van to Santa Rosa Village we will get there in about two-hours and half journey, you will cross the Inambari river for a 15 minutes boat trip to Puerto Carlos, here you will start your overland journey to Boca Colorado for 45 minutes by car, followed by four hours and half motorized boat journey ride upstream the Madre de Dios river in between we plan on a delicious boxed lunch at the beginning of the boat journey to Manu Wildlife Center. 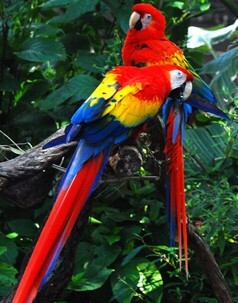 Day 2: Manu Wildlife Center: the Macaw Clay lick, Canopy Tower & Tapir Clay lick. 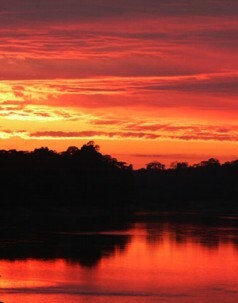 Another early start (inevitable on wildlife expeditions), is followed by a short boat ride downstream. 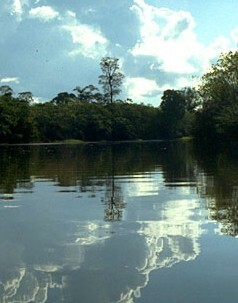 We take a 20-minute trail through palm plantations to a cut-off channel of the river, where we find the Macaw Lick. 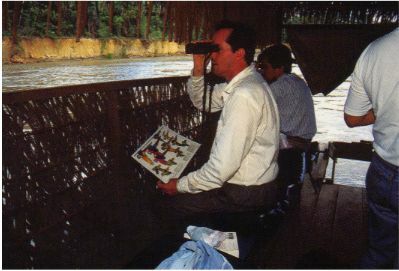 A spacious hide provided with individual chairs and a convenient place for cameras and binoculars is our ringside seat for what is usually a very spectacular show. We enjoy a full breakfast here while waiting for the main actors to arrive. 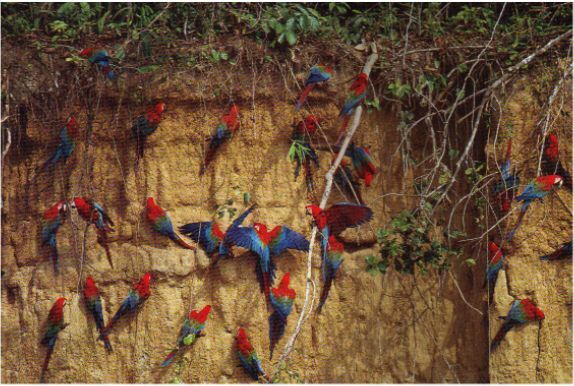 In groups of twos and threes the big Red-and-Green Macaws come flapping in, landing in the treetops as they eye the main stage below —the eroded clay banks of the old channel. Meanwhile the supporting cast appears: these may included Blue-headed, Mealy, Yellow-crowned, and Orange-cheeked Parrots— and the occasional villain, a menacing and unwelcome Great Black Hawk. We return to the lodge for lunch, and then we continue to explore and discover the rainforest, its lore and plant life, on the network of trails surrounding the lodge, arriving in the late afternoon at our 34 m / 112 ft Canopy Tower. 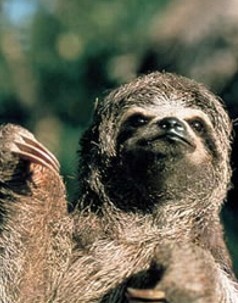 On its platform we witness the frantic rush-hour activity of twilight in the rainforest canopy, before night closes in. Later we set off along the "collpa trail", which will take us to the lodge’s famous Tapir Clay lick. Here at the most active tapir lick known in all the Amazon, our research has identified from 8-12 individual 600-pound Tapirs who come to this lick to eat clay from under the tree roots around the edge. This unlikely snack absorbs and neutralizes toxins in the vegetarian diet of the Tapir, the largest land animal of Latin America. The lick features a roomy, elevated observation platform 5 m / 17 ft above the forest floor. The platform is equipped with freshly-made-up mattresses with pillows. Each mattress is covered by a roomy mosquito net. The 10-m-long, elevated walkway to the platform is covered with sound-absorbing padding to prevent our footsteps from making noise. This Tapir Experience is unique and exciting because these normally very shy creatures are visible up close, and flash photography is not just permitted, but encouraged.